Though he's the face of the organization, there's so much more to the Medellín Cartel than just Pablo Escobar. YouTubeThe main members of the Medellín Cartel. At the height of its power, the Medellin Cartel made roughly $100 million in drug profits a day. They supplied 96 percent of the United State’s cocaine and controlled 90 percent of the global cocaine market. The cartel differed from its smaller counterparts in that it was highly organized, highly influential, and capable of corrupting almost anyone. For just under twenty years, the cartel effectively took over Colombia. By the time of their downfall, not only was the Colombian government working around the clock to take them down but so were the governments of the United States and Canada as well as several organized resistance groups. Eventually, they were able to arrest or assassinate most of the cartel members, ending, of course, with the infamous Pablo Escobar. 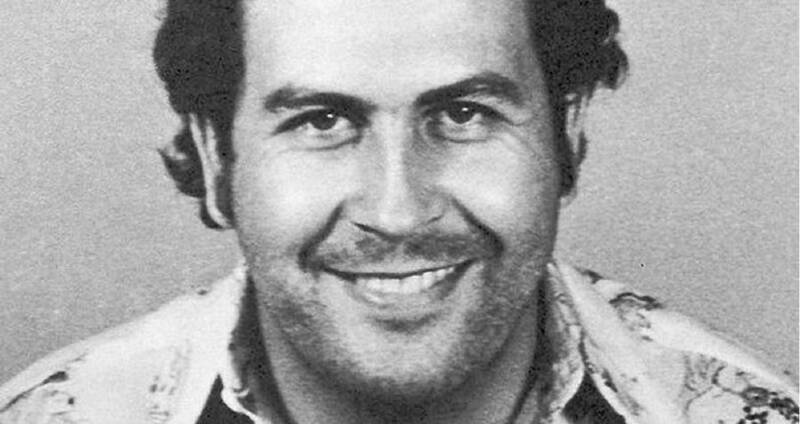 As the cartel’s leader, Escobar had much to do with the organization of the cartel. The Colombian version of The Godfather — and even known as El Padrino — Escobar worked to corrupt local police departments, pay off government officials, and keep the order amongst the cartel members. However, the Medellin Cartel was much more than just the escapades of Pablo Escobar. Through the years the cartel had multiple leaders, committed hundreds of crimes, and owned a fleet of planes, helicopters, yachts, and even two rumored submarines. From the beginning, the cartel was set up to become exactly what it was: the largest, most terrifying drug cartel in Colombian history. The Medellin Cartel’s most famous member is probably Pablo Escobar. Known as the “King of Cocaine,” Escobar was also the wealthiest criminal in history, at one point raking in $2.1 billion in personal income in one year. He was so rich he even had his own zoo, complete with hippos. By the time of Pablo Escobar’s death, he was worth a known $30 billion, though he most likely had hidden assets that totaled more. While the world knew him as a vicious, dangerous criminal, the residents of Medellin, Colombia thought of him as a successful and generous businessman. Within the local cities, he had made a name for himself as a generous donor to the slums of Medellin, particularly the children of the poor. Escobar got his start in the late 70s when the cocaine trade took off. Following the drug movement of the 60s, demand for psychoactive drugs increased. Due to its tropical climate, Colombia became the number one grower of the coca plant, the plant from which cocaine is derived. Escobar entered the drug business by smuggling coca paste, the unrefined version of the plant’s leaves, into Colombia, then back out into America. He would refine the paste himself and hire mules to smuggle the resulting powder into the United States either in their luggage or in condoms filled with it. Eventually, Pablo Escobar teamed up with Carlos Lehder and George Jung, two fellow Medellin Cartel members who had expertise in flight trafficking. They organized flights into South Florida by way of the Bahamas, using small biplanes that could fly below the radar and land on unmarked dirt roads in the Everglades. Escobar would also enlist his cousin, Gustavo de Jesus Gaviria Rivero, to join the growing Medellin Cartel. For years, Rivero operated the cartel quietly behind Escobar’s flamboyant leadership. He developed the routes that the cartels used, and maintained order over them, while Escobar gallivanted made a name for himself. 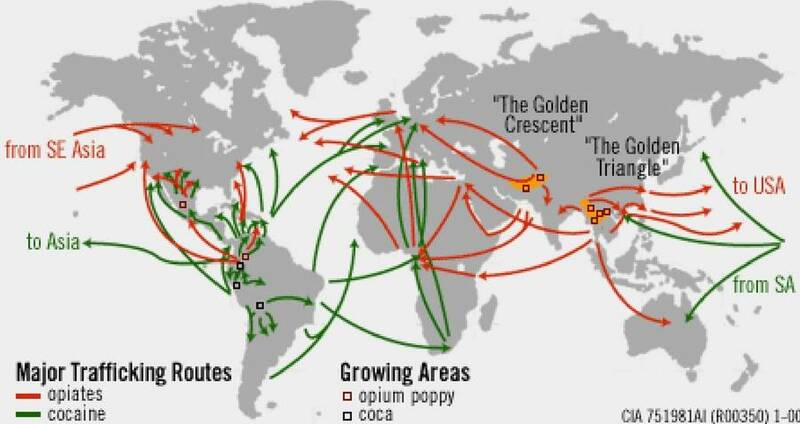 Wikimedia CommonsThe known drug routes of cartels throughout the 70s and 80s. Rivero was the one who thought up alternative measures when the governments began cracking down on drug smuggling. Rather than move to different, less effective routes, Rivero began hiding cocaine in shipments of things that were legal, such as fruits, clothing, and appliances. He would mix the drug into fruit pulp, cocoa powder, wine, and even clothing such as blue jeans. Once in the United States, trained chemists would extract the drug. Over time, the American government began to pick up on the cartel’s movements and tricks. However, Rivero and Escobar were always one step ahead of everyone else. They constantly moved their channels, switching from the tourist-infested shores of the Bahamas to poverty-stricken Haiti, down to Panama. Eventually, from the interactions with the locals in these new channels, the Sinaloa, Juarez and Tampico cartels were born. Getty ImagesLuis Galan, a Colombian senator and presidential hopeful, murdered by the Medellin Cartel. As part of doing business, the Medellin Cartel was naturally involved in violence and crime that extended beyond drug smuggling. The exact numbers of murders carried out by Medellin Cartel members or on their orders is unknown, though some experts put the number at somewhere around 4,000. They weren’t just killing civilians or other drug cartel members either. At least 1,000 of them were Medellin police officers or journalists, while 200 were judges and Colombian government officials. They even killed Colombian presidential hopeful Luis Carlos Galán as he was about to walk on stage to give a speech in front of 10,000 people. In 1989, Escobar and the Medellin Cartel were responsible for the single deadliest criminal attack in Colombian history. In an attempt to assassinate presidential candidate Cesar Gaviria Trujillo, the cartel placed a bomb onboard Avianca Flight 203. Moments after it took off, the plane exploded over the town of Soacha, killing 107 people. In 1985, left-wing guerrillas from a movement known as M-19 stormed the Colombian Supreme Court in retaliation to the Supreme Court’s study of the constitutionality of their extradition treaty with the U.S. M-19 was paid by an unknown group of people to destroy all files on “Los Extraditables,” the group of cartel members who were under threat of extradition. Ironically, most of “Los Extraditables” were members of the Medellin Cartel, including Escobar himself. Though many of their crimes were well publicized, thousands of murders, kidnappings, and terrorist attacks went unreported, due to fear of retaliation or bribery to keep quiet. 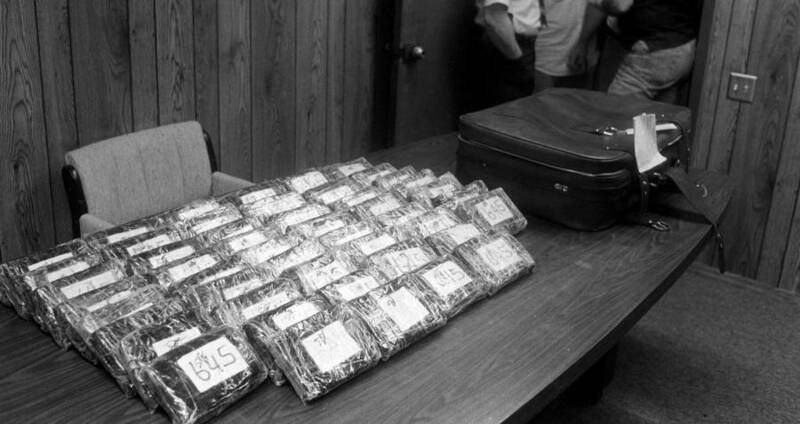 Getty ImagesA late 80s drug bust, turning up pounds of cocaine from Colombia. By the early 1980s, cocaine had become an epidemic and the War on Drugs had been declared. Crack cocaine, a cheaper and more addictive alternative to the pure powder had ravaged America’s inner cities and sparked the government to increase pressure on Colombia to capture the kingpins — namely Escobar and the rest of the Medellin Cartel. However, despite a formal extradition order from the U.S., and increased Colombian police presence, Escobar managed to evade capture. He vowed never to surrender to the United States or anyone else, and continued to run his ring from inside Colombia. 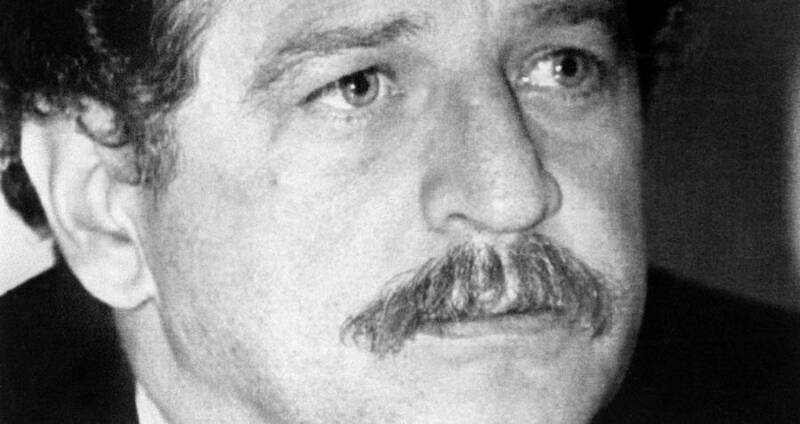 Running out of options, the newly organized Drug Enforcement Administration sent two officers, Javier Peña and Steve Murphy, down to Colombia, to assist the Colombian government in capturing Escobar and extraditing him to the U.S. Within days, Escobar had put a $300,000 hit out on Peña and Murphy. The two officers were immediately placed under watch by local authorities, unable to move about Medellin unsupervised. However, the bounties drove other organizations to up their search efforts, and soon the PEPES (People Persecuted by Pablo Escobar) was formed, a militant group determined to bring him to justice. In 1991, it seemed as if they would get their wish. Feeling pressure from the police, Los Pepes, and rival cartels, Escobar finally orchestrated his surrender. However, he was determined not to be incarcerated like any old drug mule. Instead, he set it up so that he could serve his time in La Catedral, a luxury prison of his own design which sat on a hill overlooking Medellin. Of course, being Pablo Escobar, he was able to escape La Catedral in no time and was back on the streets of Medellin trafficking drugs almost before authorities had realized what happened. Soon, however, evading arrest began to take a toll on Escobar. He soon became paranoid, turning to murder and violence quicker than before, eventually murdering two of his allies. His actions quickly turned even his closest confidants against him, and they began calling a police hotline, leaving tips as to his whereabouts. Wikimedia CommonsColombian police stand over the body of Pablo Escobar, whose death sparked the beginning of the end for the Medellin Cartel. Finally, one day after his 44th birthday, Pablo Escobar was taken down. He had made a mistake, ultimately a fatal one, by lingering too long on a phone call with his son, Juan Pablo Escobar. Police were able to track the signal and surround the house. As Escobar tried to escape to the rooftops, he was gunned down by Colombian authorities. Within moments, Pablo Escobar was dead. Though Escobar was gone, the Medellin Cartel was far from over. Their distribution networks, some of the most efficient in the world, are still in use, funneling cocaine from newer cartels to places like Sierra Leone, Barcelona, and Chicago. The city of Medellin, once ravaged by crime, hovering at roughly 6,000 homicides per year, now plays host to skyscrapers and highrise apartments. The economy has equalized, opening up to culture and art and lowering gang activity. The torment that the Medellin Cartel put the city through pushed it to become bigger, better and faster than before. Though crime still exists, the residents of the city claim it is stronger than ever before. 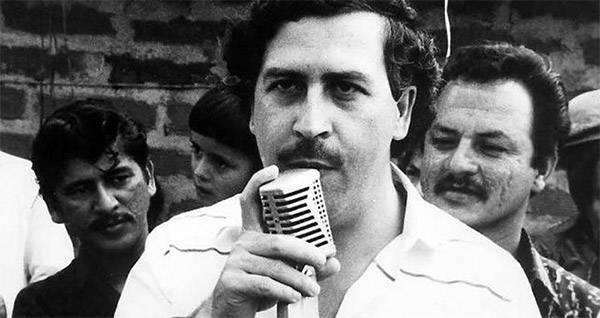 After learning about the Medellín Cartel, check out these facts about Pablo Escobar. Then, take a look at the Instagram photos of some of the most famous cartel members.